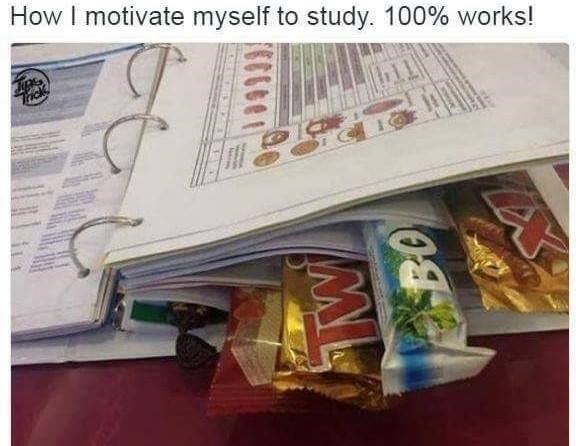 HOW I MOTIVATE MYSELF TO STUDY. 100% WORKS! - ProudMummy.com the Web's Community for Mums. Home » Memes » Food & Eating » HOW I MOTIVATE MYSELF TO STUDY. 100% WORKS! HOW I MOTIVATE MYSELF TO STUDY. 100% WORKS!